“Miss! Cuando va a ser la tienda?” (Miss, when are we going to have the store?) This is a question I am bombarded with every few months, especially after the container has arrived. 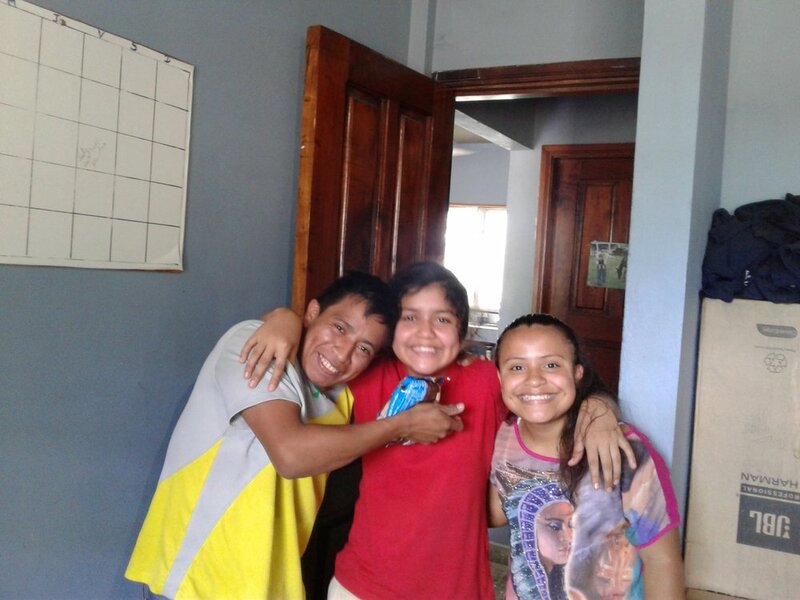 Once our supply of clothes and shoes has been replenished, the kids look forward to having “tienda,” when they have the chance to choose clothes, shoes, and other necessities that they need from the items that people have generously donated. In order to have tienda every few months, we depend on a few very special people to help us organize and maintain the clothing, shoes, toys, linens, appliances, etc. that are kept in the “bodega,” or storage space at Amigos. Perhaps the VIP of the bodega is Medardo, one of our university boys who is studying accounting at the university in San Pedro. When Medardo is on vacation from school, he helps Maritza in the office, assists the cooks in the kitchen, and oversees sorting and organizing the donations in the bodega. Medardo approaches a very time consuming and sometimes overwhelming and frustrating job with infinite patience and enthusiasm. We are so fortunate to have him and grateful for his consistent behind-the-scenes activity. As you can imagine, the kids are understandably very excited when it is their turn in the tienda. They look forward to it for weeks, and practically jump up and down with excitement while sprinting toward the bodega. They are called according to their “hogar” (house) three or four at a time, so that they can receive individualized attention from two or three of their madrinas or padrinos. It is truly a joy to see the kids be able to pick out their own things, to learn about sizes and how to try things on, and to be happy to have “new” things, even if they are gently used. Here are some pictures of the children in the tienda this past January. As always, thank you for your continuous and generous support of our children and young men and women here at Amigos! Checking out sizes and looking for new shirts! Here, one of our 'padrinos' helps one of the young boys in 'hogar' 5 try on and pick out a new shirt! One of our teenage girls walks away with a bag of new clothes and even tennis shoes for gym class. Genevieve, who helps organize, manage, and run 'tienda' showing off new clothes with one of our young girls.